Unlock PowerPoint (.ppt, .pptx) presentations from PDF and retrieve text and images for editing and reuse in PowerPoint. Convert PDF to Microsoft Word, Excel, CSV, Publisher, PowerPoint, Image, AutoCAD. Create secure PDFs from any printable Windows program. Included PDF Viewer with advanced settings. PDF Editing Mode: change text on your PDF. Split and merge PDF files. 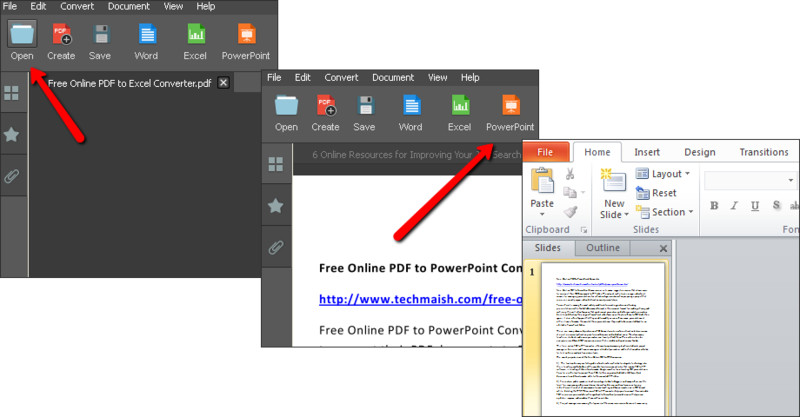 Convert your PowerPoint back to PDF when you are finished with your edits and changes. your PDF documents without conversion. Apply various editing features to your PDFs and get the document you want. Split and merge PDF.